1. Email is sent to any email address at your domain. 3. 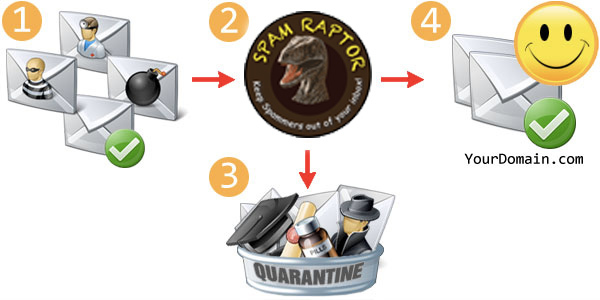 If it is believed to be spam then it gets caught in Spamraptor™. If it is believed to be a valid email then it is delivered. This allows our servers to do all of the work while saving you bandwidth and resources.